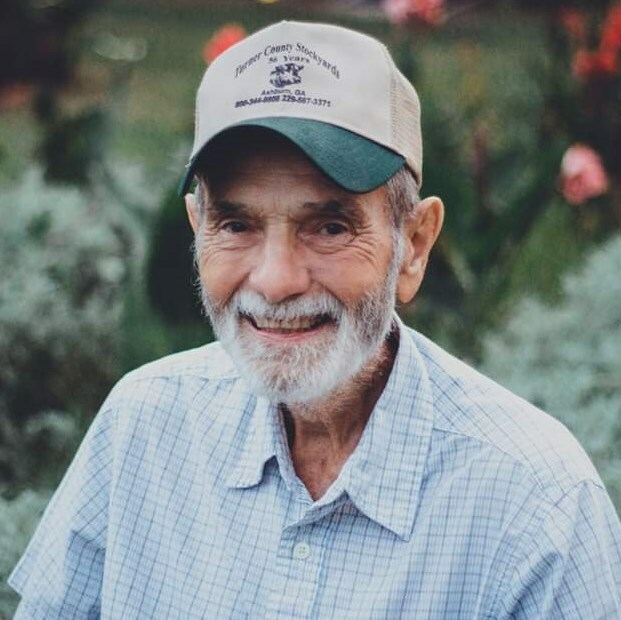 John Earl Shannon, 83, of Tifton passed away on Thursday, November 22, 2018 at Tallahassee Memorial Medical Center. Funeral services will be held at 2:00 p.m. Monday, November 26th in Chapel of Albritton Funeral Directors with Rev. Gary Cadwell officiating. Interment will follow in Oakridge Cemetery. The family will receive friends Sunday evening, November 25th from 6:00 p.m. to 8:00 p.m. at the funeral home. Grandsons and great grandson Garrett Sumner will serve as pallbearers. Honorary pallbearers will be Deacons of Oak Grove Baptist Church and Senior Adult Sunday School Class and Benji Baldree. Mr. Shannon was born April 4, 1935 in Tift County to the late John Henry Shannon and Mary Ester Mathis Shannon. He was married to Martha Jane Lindsey Shannon of Tifton for sixty-five years. In addition to his parents, he was preceded in death by two sisters, Annette Robison and Jo Hunt. Mr. Shannon was a member of Oak Grove Baptist Church and retired from Coastal Plain Experiment Station. He had lived in Tift County all of his life and most of it on his family farm. He was very active in his church serving as a deacon and Sunday school teacher. He loved to read and to travel. He loved his Lord and being with his family, his grandchildren, great grandchildren and even great great grandchildren were his delight. He instilled values in his family that will impact them even into eternity. In addition to his wife, Mr. Shannon is survived by two daughters and sons-in-law, Diane and Milton Rousey of Tifton, Becky and Ronnie Sumner of Chula; one son and daughter-in-law, Wes and Rhonda Shannon of Tifton; six grandchildren, Hank and Amy Sumner, Will Rousey, Clark and Ashley Sumner, Rachel and Ryan Futch, Marc and Joy Shannon and Maggie Shannon; nine great grandchildren; two great great grandchildren; one brother and sister-in-law Carl and Jo Ellen Shannon of Lakeland, Georgia; one sister Doris Minter of Moultrie.